Back in January, this poppy was a stand out in our California Garden, on the Anderson Street side of the Melbourne Gardens. Was it the yellow pom-pom of stamens in the middle of each flower, the soft, crinkled white petals floating in the wind, or the summery-grey leaves? Presumably the combination of all. 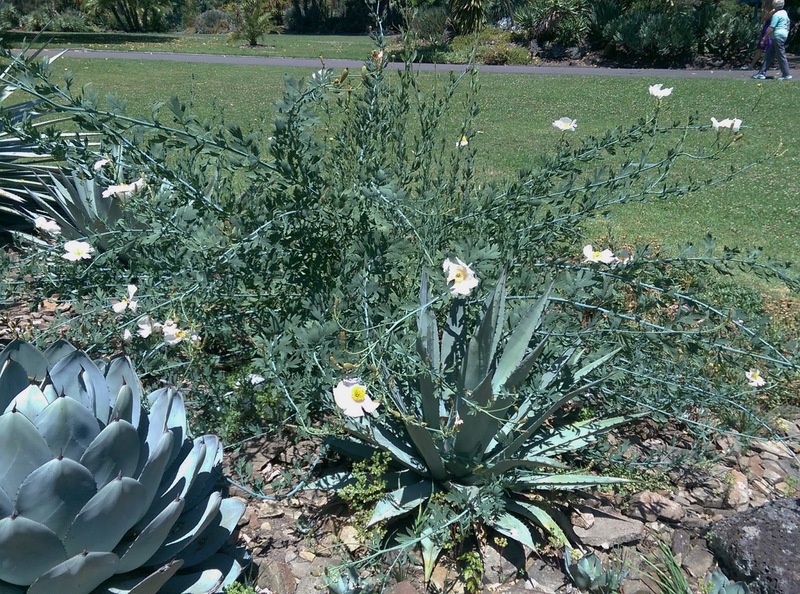 We have a couple of mature plants in the California Garden, and others in the rockery near the William Tell Shelter, and one in the Grey Garden near the Temple of the Winds. Tough locations with little extra water added. 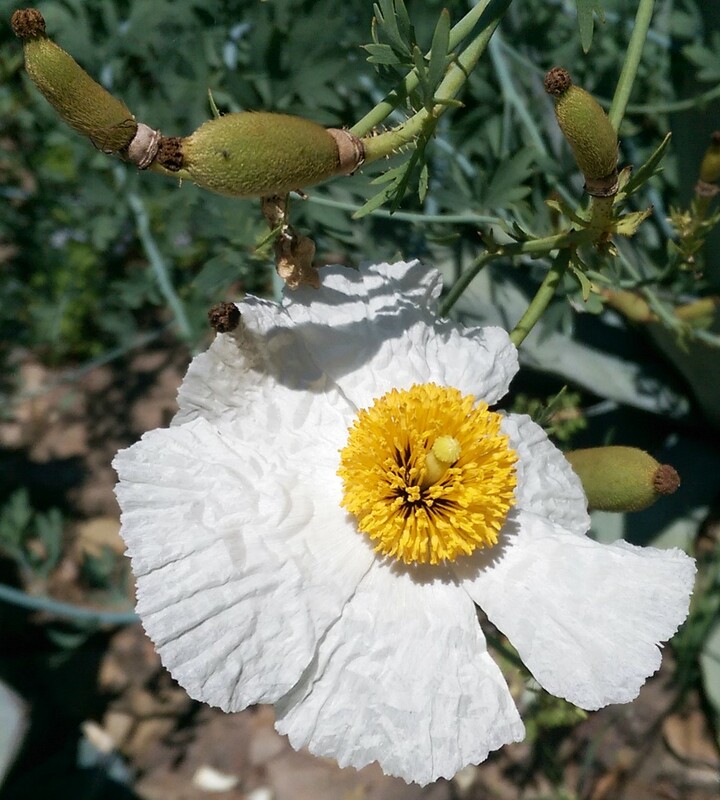 Romneya coulteri is often called the the Californian Tree Poppy. It's a poppy (family Papaveraceae), from California (and Mexico) and compared to most other poppies it's tree-like (although lanky, it grows to over two metres high with a woody base). 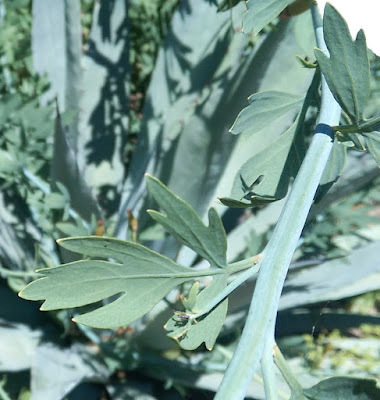 The leaves are leathery and coloured waxy grey-green, as are many of the succulents sharing similar habitats in our botanic garden. There are two species of Romneya, the other being just little smaller in flower and leaf size (both are considered naturalised in south-west Western Australia, with Romneya coulteri seemingly an escape from gardens in Perth). 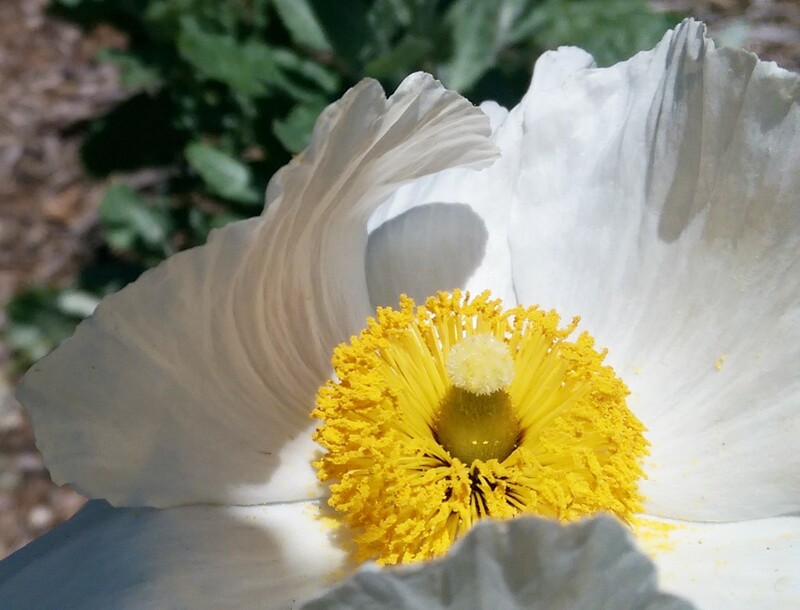 With open flowers stretching to about 10 centimetres across, Romneya coulteri is the biggest flowered member of the poppy family and, along with Hibiscus lasiocarpos, the biggest flowered plant in California. So yes, the flowers are even bigger than those of the Himalayan Blue Poppy, Meconopsis betonicifolia, which they resemble apart from the petal colour. The Californian Tree Poppy is also called the Matilija Poppy, after one of it's natural locations, a canyon 100 km or so north-east of Los Angeles, and Fried Egg Plant, after the resemblance of the flowers to a fried egg.